Hike 1,717 meters high to the top of a volcano for the most amazing sunrise then dive down deep through a WWII ship wreck. 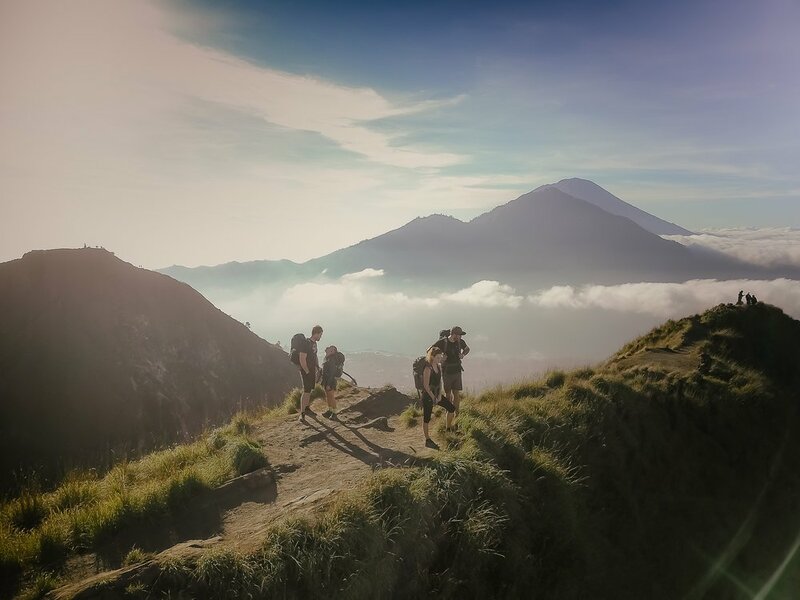 One of our most epic adventures - hike over 1700m to the top of Mt Batur, one of Bali’s most famous volcanoes, where you’ll set your eyes on an incredible sunrise and then strapping on scuba gear for a scuba dive through a WWII shipwreck. Its a early start as you will be picked up from your hotel and whisked away through local villages and past incredible scenery to the less travelled Northern Bali region. The drive sees us reach the base of Mount Batur, one of Bali’s most famous volcanoes, where you’ll set off for its peak at 1,717m above sea level. Explore the summit and enjoy breathtaking views as the sun rises over the incredible island of Bali enjoy a warm mug of hot chocolate. We then follow the ridge line back to its base taking in the changing scenery the volcano has to offer. We then head towards the ocean through the Baliness mountains and we’re ready to go deep! After a briefing and safety check, you’ll gear up for the dive of a lifetime as you dive under and find yourself in another world exploring the shipwreck of the USS Liberty, sunk during WWII and buzzing with sea life. Don’t worry if you have no experience - our dive instructor will teach you the skills and have you in the water in no time! After the dive refuel with a traditional Balinese meal before we carry your full mind, body and belly back to your accommodation. 01:30 Pick up time (depends on your hotel location). 03:45 Arrival at the starting point for hike. 05:45 Arrival at the summit of Mount Batur (sunrise point). 07:00 Continue our trip around the rim of the crater.